If you think we've seen the last of Rick Riordan's foray to Greek mythology with the release of The Blood of Olympus, then you might be rejoicing to hear that a new book will be coming our way. With the success of Percy Jackson's Greek Gods, there is no wonder then that the author would try to make at least one companion book for it. Collaborating yet again with the talented John Rocco, Rick Riordan announced during the The Blood of Olympus tour his next project, Percy Jackson's Greek Heroes. This is similarly a coffee table book, featuring some lavish art from Rocco. The book obviously will focus on the Greek heroes, most probably including Achilles, Odysseus, Herakles and, of course, Percy Jackson's namesake Perseus. 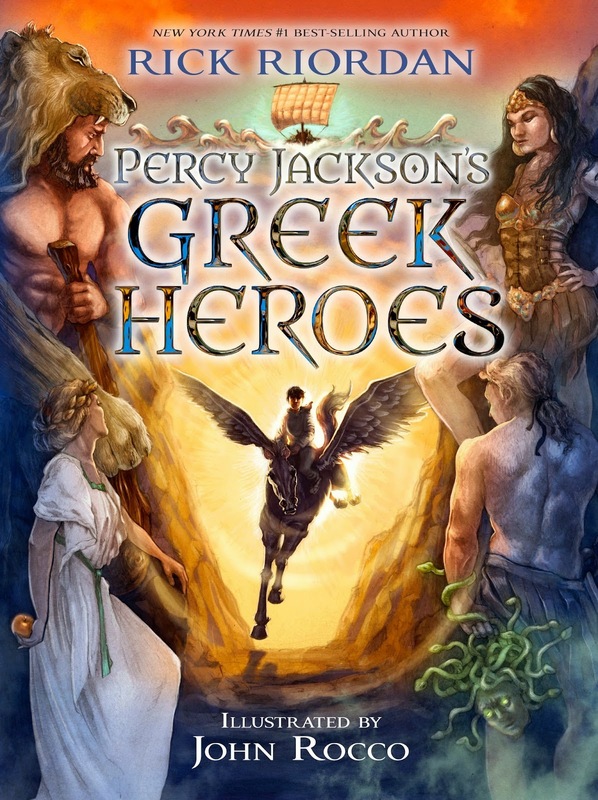 Check out this fantastic cover of Percy Jackson's Greek Heroes by Rick Riordan, featuring art by John Rocco. No official synopsis has been revealed yet, but here is what Rick Riordan has to say about the book: "My versions of the myths are absolutely faithful to the original sources. I didn’t tweak anything, except of course to couch the narrative in modern language and add modern sensibility and humor. If you use Percy Jackson’s Greek Gods as a textbook for a Classics mythology test, I wanted to be sure you would get an A+!" From Goodreads: Stories of the heroes of Greek mythology told from Percy Jackson's perspective announced at Blood of Olympus Boston tour, written by Rick Riordan and illustrated by John Rocco. Percy Jackson’s Greek Heroes by Rick Riordan will hit shelves on August 18, 2015.